Boy Scout Day is February 8, a celebration culminating the organization’s 105th year. As the largest youth group in the United States, the Boy Scouts have impacted multiple generations of kids ages 11 to 17. More recently, their influence has expanded to cover finance and responsibility. The Boy Scouts’ Personal Management merit badge challenges kids to learn the basics of financial planning, savings and even investment strategies. Does your tween son know more about money than you? Take a look at the badge requirements to learn more. Paying for major expenses. As an adult, much of your time is spent learning how to pay for big-ticket items like a home, car, education or family vacation. Boy Scouts are asked to create a family plan to help them secure these items. They discuss the pros and cons of saving versus relying on credit for major purchases. Do the same in your own life. For example, is it better to save for a new car or use financing? Should you rely on student loans for your child’s education, or should you start saving now? The answer to these questions could cost you thousands. Don’t wait to find answers. Quality and comparison shopping. Scoring deals isn’t limited to holiday shopping. This initiative challenges Boy Scouts to consider value when paying for necessary items and services. For example, how much is an onion worth? Would clipping coupons or shopping at a different store make a difference? How would a cheaper grocery bill improve your life? As the Boy Scouts will learn, money management is a lifestyle. Audit your own habits and adopt positive change. Budgeting. Speaking of dynamic, the process of budgeting is Priority #1. Without a plan, it’s impossible to understand your financial strengths and weaknesses. Follow the Boy Scouts’ lead by using our free template to get started. Consider it your compass to success. Emotional triggers. Scouting emphasizes survival skills and personal growth. When it comes to finances, these characteristics are undeniably linked. The Personal Management badge asks Boys Scouts to examine their emotional triggers and how they relate to money. For example, are you more likely to spend or save a surprise bonus? Does extreme anger, hunger or happiness lead to impulse buying? Do you ever feel guilty for purchasing items you can’t afford? Internal conflict plays an important role in financial success. Don’t avoid your feelings on the road to stability. Investing. Retirement savings are a vital part of life. Unfortunately, few people are prepared for it. 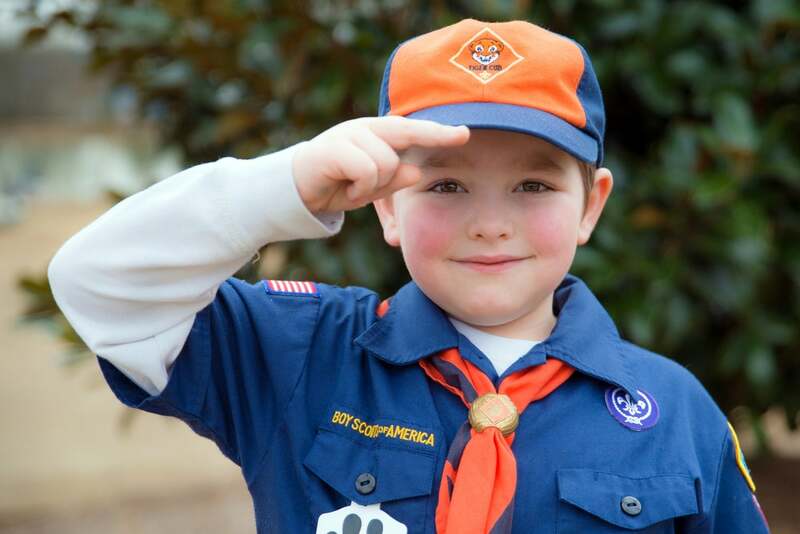 The Boy Scouts have the benefit of time by considering their options early. Take a lesson from their initiative and learn the facts now. Meet with a financial planner to discuss your options and take the next steps. Credit and loans. These are the cornerstones of financial health, and in many cases, financial ruin. Boy Scouts are expected to learn the basics of credit card use, interest rates, credit scoring and debt reduction. These topics are big ones. Browse the blog if you need a refresher course. You’ll find lots of useful information. Time management. What’s your time worth? How does it factor into your finances? Boy Scouts are taught to make the most of their resources, time included. Whether you’re driving the scenic route to work or wasting your evenings on the couch, laziness can carry consequences. Illustrate your ability to stick to a schedule by creating a list of goals and a timeline to complete them. Career choices. What’s the source of stability? How is it calculated? For most, these factors hinge on career choices. While the Boy Scouts are just beginning their search for livelihood, it’s not too late for you to further or change your professional goals. View the Bureau of Labor Statistics’ Occupational Outlook Handbook for a breakdown of jobs by title, region, expertise and growth potential. You may qualify for a federal grant aimed at working adults who want to improve their lives. The bottom line: As the Boy Scouts learned, it’s never too early to start financial planning, and it’s never too late to make changes.